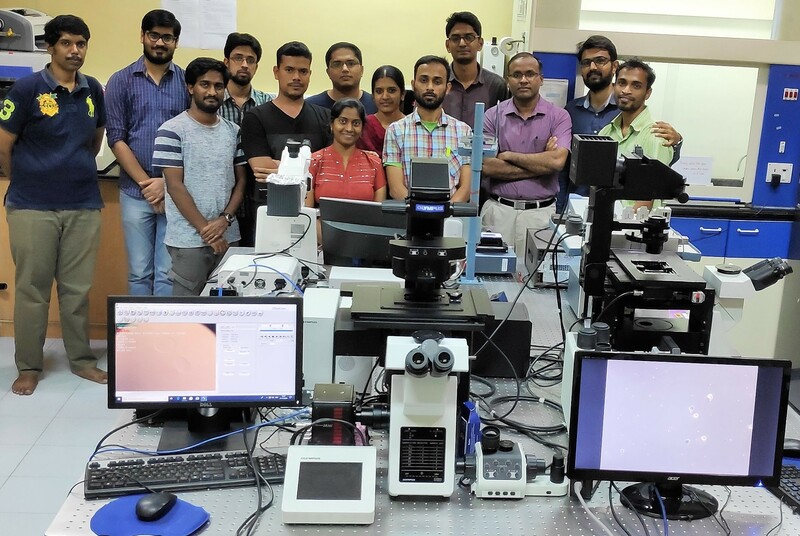 Ashis research group at IIT Madras works on the fundamentals and applications of microfluidics. The group takes a great deal of interest in the identification and demonstration of unique and interesting microscale phenomena. 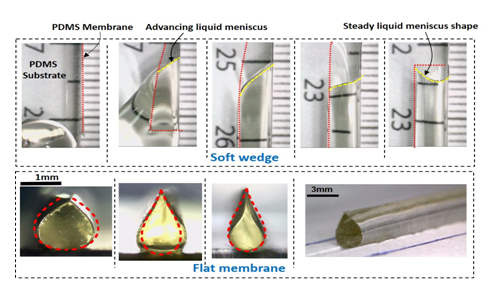 The team is focused on unraveling the underlying mechanisms and developing understanding of such phenomena. Moreover, effort is put towards exploiting these phenomena for the development of technologies for various applications. 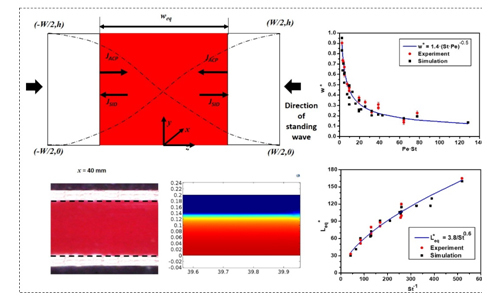 The group’s fundamental research activities falls in the broad areas of behavior of particles and droplets in microchannels, interaction of acoustics, electric field and magnetic field with fluid interfaces and particles, capillarity and wetting. 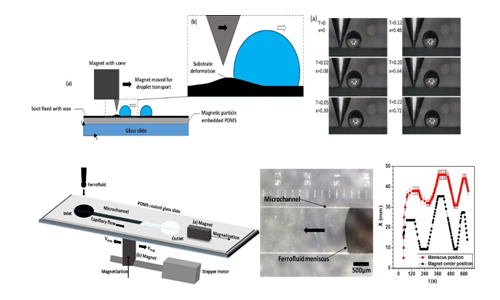 The group is equally committed towards developing microfluidic platforms and lab on chip technologies mainly for healthcare applications. 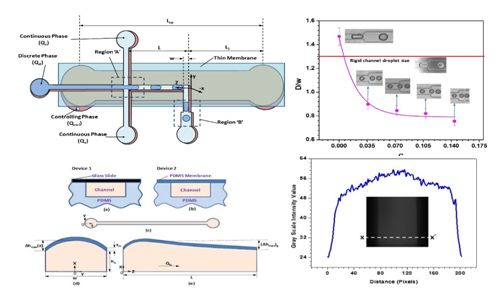 The team has been working on developing a rapid and sensitive opto-microfluidic platform for detection of dengue antigens in blood. 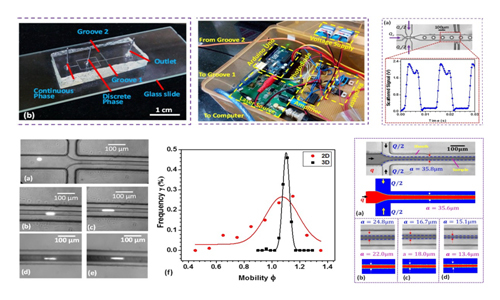 The group is also developing a generic microfluidic platform for continuous and real-time monitoring of gasotransmitters in blood. 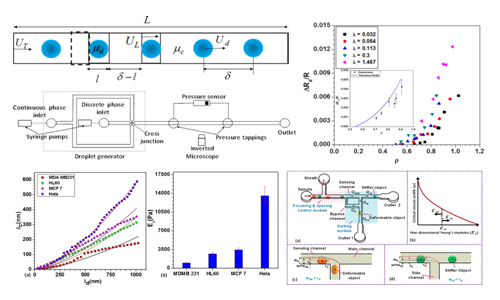 The group is striving to develop a microfluidic platform isolation and genomic profiling of CTCs. 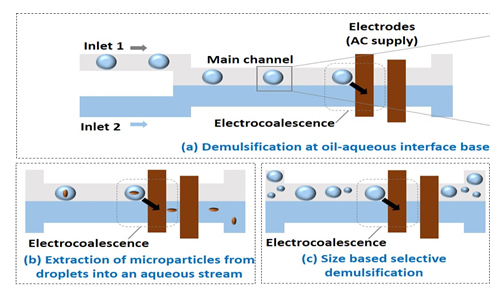 Dynamics of capillary flow in an open superoleophilic microchannel and its application to sensing of oil, B. Majhy, R. Iqbal, R. Gaikwad, A. K. Sen, Microfluidics and Nanofluidics, 2018. 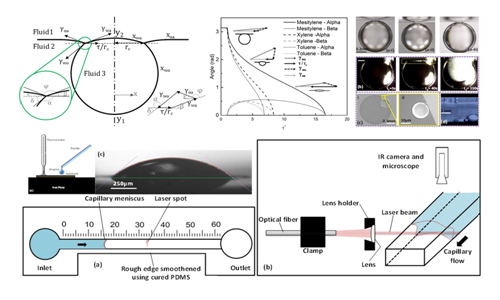 Acoustic impedance based label-free isolation of circulating tumour cells from blood using acoustophoresis, S. Karthick, P. N. Pradeep, P. Kanchana, A. K. Sen, Lab on a Chip, 2018. 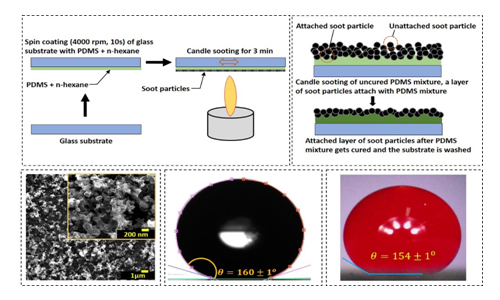 Shape evolution and splitting of ferrofluid droplets on a hydrophobic surface in presence of magnetic field, U Banerjee, A. K. Sen, Soft Matter, 2018. 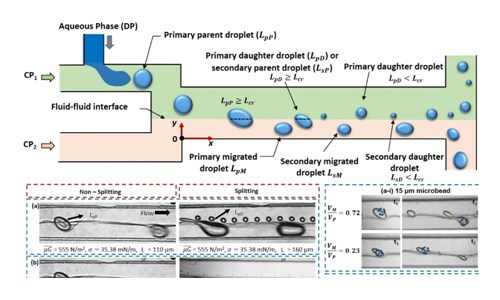 Evaporation and morphological patterns of bi-dispersed colloidal droplets on hydrophilic and hydrophobic surfaces,R. Iqbal, B. Majhy, A. Q. Shen and A. K. Sen, Soft Matter, 2018. 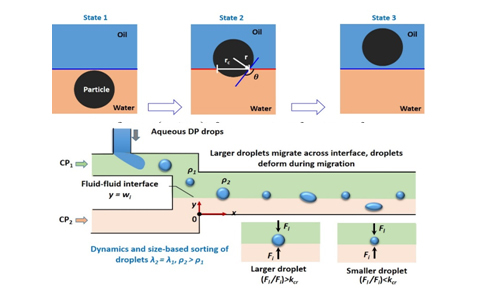 Dynamics of aqueous ferrofluid droplets at coflowing liquid-liquid interface under a non-uniform magnetic field, U. Banerjee, A. Raj, A. K. Sen, Applied Physics Letters, 2018. 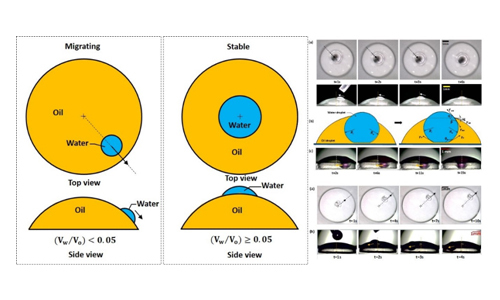 Self-transport and manipulation of aqueous droplets on oil-submerged diverging groove, S. Dhiman, K.S Jayaprakash, R. Iqbal, A. K. Sen, Langmuir, 2018. 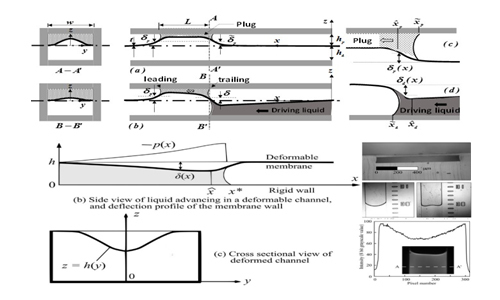 Entry and passage behavior of biological cells in a constricted compliant microchannel, A. Raj, A. K. Sen, RSC Advances, 2018. 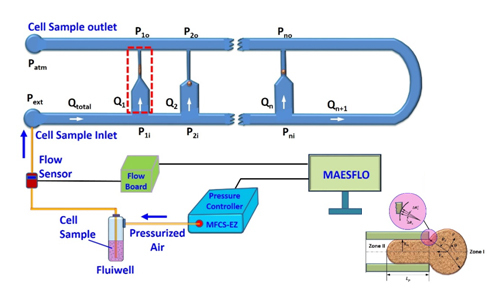 Sudeepthi A. and Utsab Banerjee own Best Student Presentation Awards at the 7th International and 45th National Fluid Mechanics and Fluid Power (FMFP) conference held at IIT Bombay during 10 - 12, December 2018. Dr. Ashis Kumar Sen received The SwarnaJayanti Fellowship Award 2017 - 2018 (Engineering Sciences), Dept. of Science & Technology, India. Mr. Karthick S, a PhD student of our lab is offered a regular faculty (Assistant Professor) position at BITS, Pilani. Dr. Abhishek Raj, who did his PhD in our Lab (2013-2018), has joined as a Post-Doc with Prof. Todd Sulcheck at Georgia Tech. 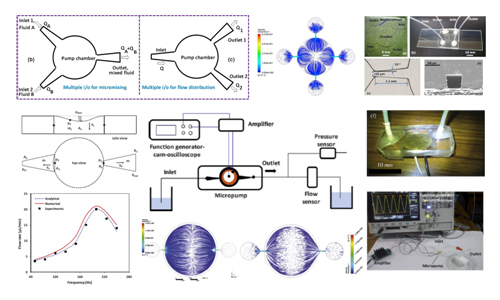 Mr. Jayaprakash K S has successfully defended his thesis titled "Microfluidic-manipulation of micro objects in two-phase systems" - Congratulations to him. Dr. Ashis Kumar Sen received the Young Faculty Recognition Award – 2017. Dr. Ashis Kumar Sen received the Institute Research & Development Awards (IRDA) – Early Career Level Award, April, 2017". 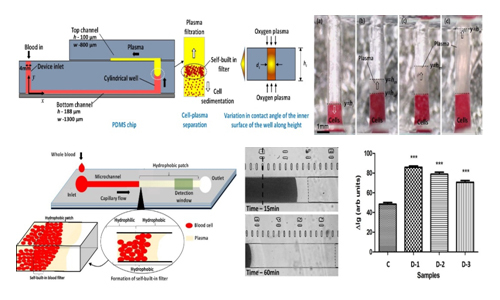 Our work on capillary and acoustics based blood-plasma separation got selected for display in the Exhibition on Innovations in Medical Science and Bio Technology for Grassroots Applications on 09 March, 2017 at Rashtrapati Bhavan, New Delhi. Our research work on “Capillary based blood-plasma separation” appeared in Hindu on 26 Sep 2016. Dr. Ashis Kumar Sen received the Indian National Academy of Engineering (INAE) Young Engineer Award – 2013. Dr. Ashis Kumar Sen received the Institute of Engineers India (IEI) Young Engineer Award – 2013. Mr. Karthick S has successfully defended his thesis titled "Acoustofluidic manipulation of biological cell suspensions in microchannel" - Congratulations to him. Prof. Amy Shen, Okinawa Institute of Science and Technology, Japan. Prof. Sushanta K Mitra, University of Waterloo, Canada. Prof. Thomas Laurell, Lund University, Sweden. Prof. Leslie Yeo, RMIT University, Australia. Dr. Paul Ramesh, Cardiothoracic Surgeon, Apollo Hospitals, Chennai. Dr. Anil Tarigopula, Pathologist, Apollo Hospitals, Chennai. Prof. K M Muraleedharan, Department of Chemistry, IIT Madras. Prof. Anil Prabhakar, Department of Electrical Engineering, IIT Madras.